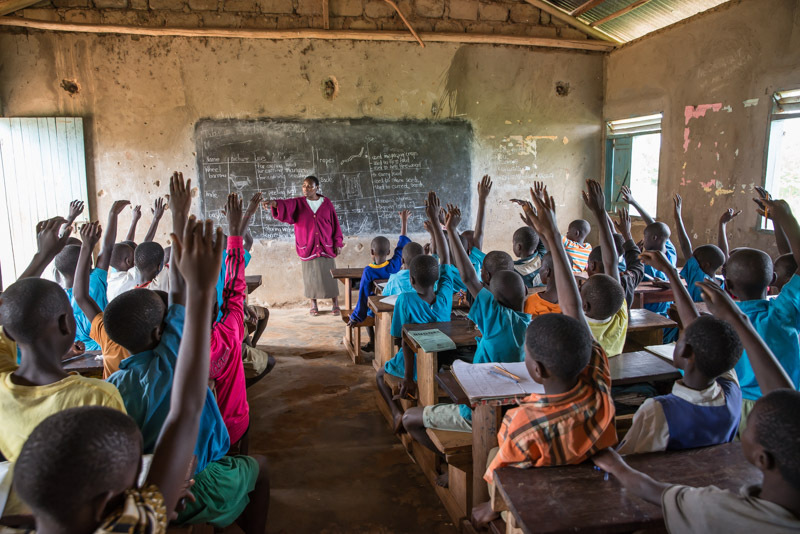 This report was sent to us by Stephen Kawuta, the headmaster of St. John's Primary, our partner school in Uganda. Expanded cultural explanations are provided in brackets by Nyago John, who originally had this conversation with the headmaster by phone, and knows the situation in Uganda well having grown up there. 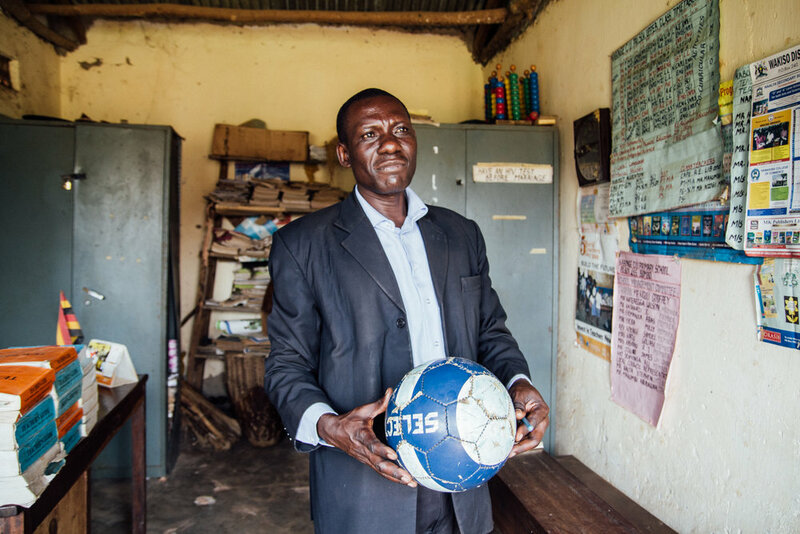 HM Stephen Kawuta in his office at St. John's Primary, holding one of the first footballs ever gifted to the school. My name is Stephen Kawuta and I would like to take some time to share with you all our gratitude on behalf of the St. John's Primary School family. For the last 15 years I have been serving as the head teacher of St. John's. I recall very well the day I was posted at this school to lead the team of teachers who were serving then. All the teachers were not trained to teach. Even though they were ladies and gentlemen who really wanted to serve the community as teachers, I was the only qualified teacher and head teacher as well hence I was the only one on the payroll. The school then had fifty six students with poor buildings for the students. A lot of bush was surrounding the school. Teachers had no houses and so I had to rent a house away from the school. Being a young man who was very optimistic about life, a place like this wasn't my taste but I had to believe that I had been brought here for a good cause. Parents were welcoming and friendly, I was really encouraged to move on and serve them. We have walked a long way. When our friends from G.O.D. led by Mr. Gregg Garner came to partner with us, we felt like God had visited us. Our problems were many. They didn’t promise to solve them all, but what we’ve seen over the past four years is brotherly love. They have done so much for the school. We are grateful for the teachers at St. John's. Many of them have gone years without pay, but continue to show up for the students, showing the love they have for them. Water was a major issue but when G.O.D fixed one of our buildings that had a very old roof, it helped us harvest more water in our cistern. They also fixed a nearby borehole which helped us even further. Many students have been given shoes, scholastic materials and uniforms. Treating of wounds and chiggers and conducting eye exams for all our students and teachers have been great interventions. None of these would have been possible without being helped by G.O.D. G.O.D. 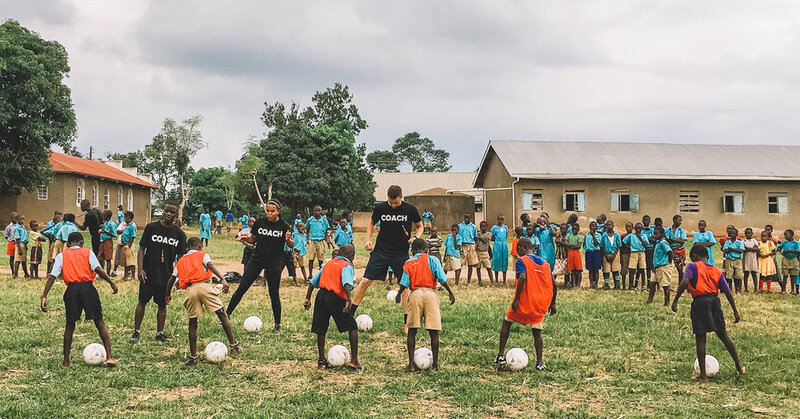 teams facilitated the first formal football league for St. John's children and a variety of teacher training seminars this summer. Students have continuously shown how they love their school. The provision of sports equipment has enhanced the development of talents and learning good character traits during games which have helped shaped good behavior in our students. 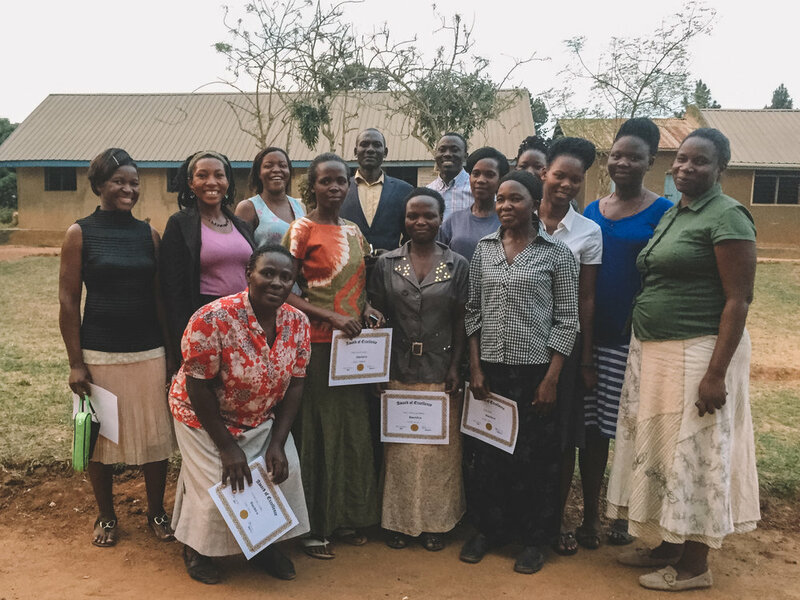 The organization and facilitation of seminars by G.O.D has been very rewarding to our teachers and students. 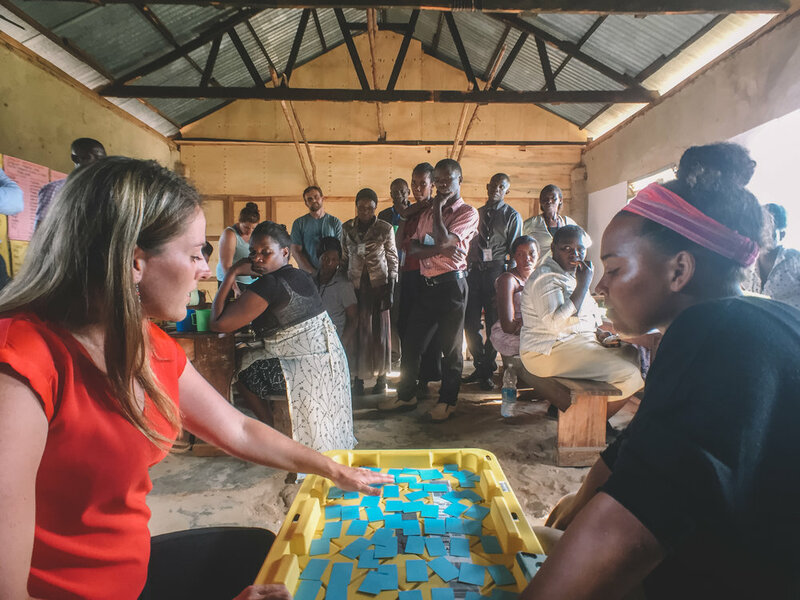 The teachers have been equipped with skills that help them modify and implement the curriculum in a way that helps students understand and apply what they learn. There is a lot of harmony in the school and on many occasions I have heard teachers and students say "it's our school." I could rarely hear this in the past years. The hardworking St. John's staff! This isn’t to say we’ve made it. There are still a lot of challenges we are facing. We still have issues with getting water in the dry season. The kindergarteners are in a temporary structure that is not very strong. We are not able to offer lunch every day and so many are still hungry, making it difficult to teach them. But we pray that in time these things will find answers too. I am very grateful and indebted to all those who have always extended a helping hand and keen ear to listen when we narrated our overwhelming needs, you have always responded with love in all ways possible. Indeed you are our neighbors and we love you so much.